For those of you interested in blogging but not sure about how to pull the trigger… here are some tips! 1. Decide on your name + niche. Maybe you want to write tips for nurses new to your specialty (transplant nursing, flight, OR, whatevs), encouragement and inspiration, patient education… Pick one and stick to it. Don’t make the mistake of being way too general… the more narrow your niche, the better. 2. Use WordPress and start one for free in less than 15 minutes. I promise you don’t need to be a super tech-savy person. I taught myself how to do all of this over time. This nursing blog post from The Nerdy Nurse gives 3 practical, easy to follow steps to starting a nursing blog. Think about blogs you like and why you keep coming back to them, and try to emulate that yourself with your own spin. Don’t forget to link to other great nurse blog posts at the end of yours – that will help you and the author of the other post get better rankings on Google. 4. Maintain the integrity of the profession. 5. Know your facility’s policy on social media and make sure you’re not violating it. This means not violating HIPAA, not engaging in lateral violence online (yea, complaining about a coworker on your blog may come back to bite you), and not posting at work. These policies can differ widely, so make sure you know what yours says and abide by it. 6. Interact with other awesome nurses on social media. Find bloggers you appreciate and enjoy to stay up on the latest trends and techniques – even if they’re not nurses. I stay clued in to Jon Acuff, Gary V, Michael Hyatt, and basically anything the Social Media Week crew puts out. Not sure where to start? Check out the ultimate list of social media accounts and nurse blogs to follow. Manage your time on your blog like you manage your time at the bedside. Be prepared for everything to go the exact opposite of how you planned it. One of the biggest mistakes bloggers make is not posting for a while and then unloading a ton of information at once. In blogs and on social, people want regular posting… not sporadic. Bonus! Check out the free 30-min webinar on time management for nurse bloggers by myself and the Nerdy Nurse. Not to hang out! But see if they’ll be featured in an interview, want to guest blog, or whatever. What’s the worst they could say… no? That’s how I got some of my writing on bigger sites – just emailing them! Canva and PicMonkey are great resources, make sure you buy photo rights and don’t just snag things off Google. People tend to click on posts with a nice feature image, and stay engaged if the post isn’t too long. If you’re working with a company for affiliate sales, ads, or have a professional relationship you MUST always disclose that within the posts that have links, and have a disclaimer page. If you’re posting on social, you must include #ad #spon or #sponsored. Seriously. The FTC requires it and just sent out 90 letters to different Instagram influencers to warn them about their non-compliance. Plus it’s also just good business to make sure people know your relationships and if you’d make any money off of something. Have you ever wanted to start a blog? What’s been your biggest barrier? I hope that you will join us at The Sirata Beach Resort on November 17-19, 2017 for the NNBA Pre-Conference “Nurse Blogging 101: Growing a Profitable Business and Community.” Take a minute to look at become a member of the NNBA. 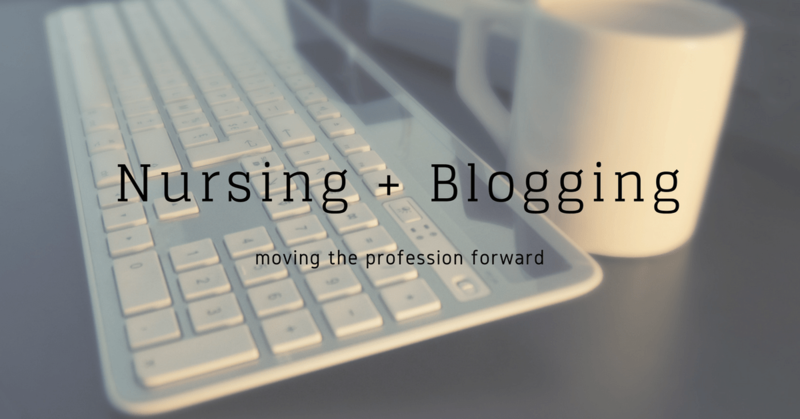 And if you have already started your nursing blog, we have a deal for you. If you register for (and attend) the Nurse Blogging 101 pre-conference session, we’re going to give you a free website audit. Just email with proof of your registration and we’ll give you special promo code to get your blog audit comped.